This Substantial Brick Colonial is as close to New Construction as it gets, without the Long Wait or Price Tag. Ideally Located within Desirable Crystal Crossing Subdivision. Tasteful & Neutral Color Scheme / Finishes. Sprawling Master Suite with Vaulted Ceiling & 2 Walk-in Closets. 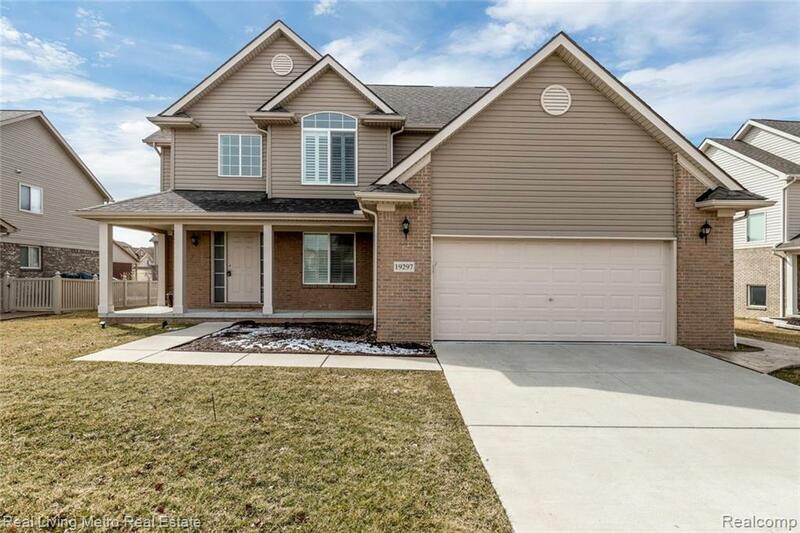 Welcoming 2 Story Entry with Hardwood Floors Flows into Bright & Airy Living Room & Spacious Kitchen Featuring Granite Counters and S.S. Appliances. Brick Exterior Primary, Maintenace Free Premium Siding, Pella Windows, 30 Year Dimensional Shingles, & Custom Stamped Concrete Patio. Sizable Basement with Egress Window. Truly a Beautiful & Well Maintained Home. Be sure to Schedule your Tour Today.